This exhibition explores manifestations of remembrance through striking and moving World War I textile works from the museum and memorial’s collection. Romantic and patriotic scenes were created on silk and cotton and wool felt. Many of the objects were made in direct response to those loved ones going to war from every country. Others were made for commercial purposes to serve the clamour for souvenirs. 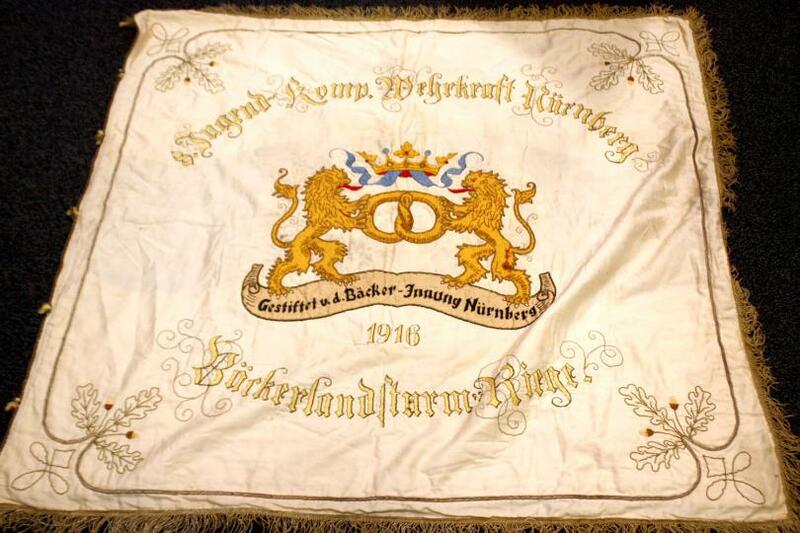 Imperial Bavarian banner for the bakers’ union of Nurnberg, Bavaria, for their sponsorship of a boys’ para-military organization training for war.